Searching for Feathers, They Found Scales Instead . . .
Snakes. Just the thought of them makes some folks quiver in their boots. 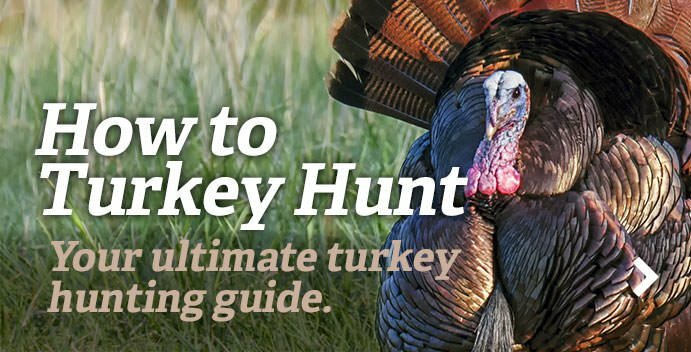 But, thanks to the irresistible lure of the longbeards, even the most snake-wary turkey hunters find themselves trekking through prime snake habitat come spring. If you’ve turkey hunted long, you’ve no doubt had some snake encounters — quite possibly with the venomous kind. I’ve spotted numerous rattlers and water moccasins while out chasing turkeys, but always at a distance. Some of my turkey-hunting brethren have not been so lucky. Eddie Stevenson, president of Driftwood Media, thinks the combination of odd Texas weather and his choice of turkey call could have been partially responsible for his unusual and extremely frightening snake encounter, but he can’t be sure. Several years ago, Stevenson was hunting at Dove Creek Ranch in Mertzon, Texas. Temperatures were warm on the day he arrived for the hunt, but by the third day, it was snowing. On the morning before the cold front came in, Stevenson walked in to his setup while the gobblers were still on the roost. He chose an area with brushy terrain and broken rocks. Once the birds flew down from the roost, Stevenson started calling with his slate call. The birds immediately responded and started coming in to his calls. The birds were still gobbling and getting closer and closer, so Stevenson continued to call. Then, he heard the same noise on his right side. He looked and sure enough saw another rattler headed straight toward him from approximately 10 feet away. Stevenson had another tag to fill, so he continued to call. After about 10 minutes, he looked up, and believe it or not, another snake was headed right toward him. He said after the cold front came in the next morning, he didn’t see any more snakes. He even returned to hunt the same area without incident. Stevenson said he thinks the snakes were on the move because they were seeking shelter from the imminent cold front. He also believes the snakes may have been attracted to his calling. This story is not one that outdoor writer Laurie Lee Dovey loves to tell, but after putting up with my constant requests, she finally relented. Dovey had been turkey hunting at Bent Creek Lodge in Alabama with champion caller Larry Norton. After a morning of hunting and coffee consumption, Dovey decided she’d better take a “potty break” before trying to locate another bird. With a sore rear, Dovey continued her hunt with Norton, who called in a huge gobbler for her to shoot. After celebrating and taking photos, they left the woods around noon so Dovey could make it to an afternoon quail hunt. When Dovey told the others at camp about it, one of the concerned men called a doctor who said it could be a snakebite inflicted by an immature timber rattler and to keep a close watch on her. Dovey said the bite hurt, but she felt OK, so she decided to go on the planned quail hunt. She returned home after the hunt, and as the days went by, the wound progressed. It changed colors and some of the flesh around the wound deteriorated. Dovey said she made the mistake of telling Realtree founder Bill Jordan about the bite. He thought the story was so funny that he told it to the entire crowd attending an event he was sponsoring at a writers’ conference. Dovey says the moral of the story is to look before you squat. Pete Simmons, owner of Buck Run Hunting Lodge in South Carolina, says the most important thing to understand about his snake story is that he is an above-the-knee amputee. Simmons was hunting on April 10, 1985, which turned out to be an unseasonably cold day with high temperatures only in the 20s. The previous day, the highs had reached the mid 70s. Simmons immediately dropped to the ground against a wide oak tree to prepare for a shot. He put his head net and gloves on and listened to the bird on the roost. The bird eventually flew down at 30 yards from Simmons, who could see him behind the brush strutting and drumming. When the bird walked behind a tree, Simmons lifted his gun. As he lifted his gun, he could see movement out of the right corner of his eye. That’s when he realized a rattlesnake was striking his prosthetic leg. Simmons said he then had to decide whether he should shoot the snake or shoot the turkey, which was quickly approaching. He worried if he shot the turkey, the recoil would knock him off the snake, which was currently penned beneath him. Simmons said he felt thankful that day for his prosthetic leg, and that he’s actually been bitten several other times while turkey hunting – always on that leg. William Sullivan, a longtime turkey hunter, was excited to hunt a new location in Okeechobee, Florida. Before heading out to the hunt, the landowner warned Sullivan that if he hunted in the cabbage palm hammock, to make sure he kept a lookout for coral snakes. Coral snakes are secretive and seldom seen. They’re also the most highly venomous snake in North America. Sullivan sat up against a tree to prepare to call. All of the sudden, he felt something tapping on his upper leg. The sun was just beginning to light the trees when outdoor writer John Sloan slipped out of the boat and started his stalk on a Tennessee spring gobbler. As the gobbler announced his presence to the riverbank, Sloan knelt and began to quietly remove some leaves from under the big red oak tree he’d chosen for an ambush. Later, in a different location, Sloan did kill a gobbler, but says that kill paled in comparison to his snake encounter for excitement that morning. John Brandon Mccaffety, an avid turkey hunter from Alabama, was set up against a tree in a woodlot by a hayfield waiting for several gobblers he could hear to show up. He kept hearing the leaves nearby rustling, but he didn’t want to turn his head to see what was making the noise for fear he’d spook a gobbler. Mccaffety says he just kind of scooted up the tree on his back and then took one large side step away from the snake. Realtree turkey blog: How to deal with snakes while turkey hunting. Editor's note: This Realtree.com evergreen article was first published March 7, 2016.